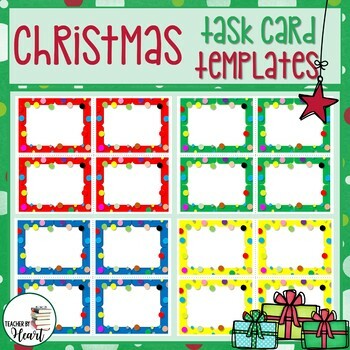 This set consists of 8 different sets of task card templates. The colors are bright and the quality is 300dpi (crisp and clear printing). There are four task cards per one paper (8.5 x 11"). The files are in PNG format, just copy and paste them onto your PPT slide, and add text or anything else you like to it! PERSONAL $ COMMERCIAL use allowed.